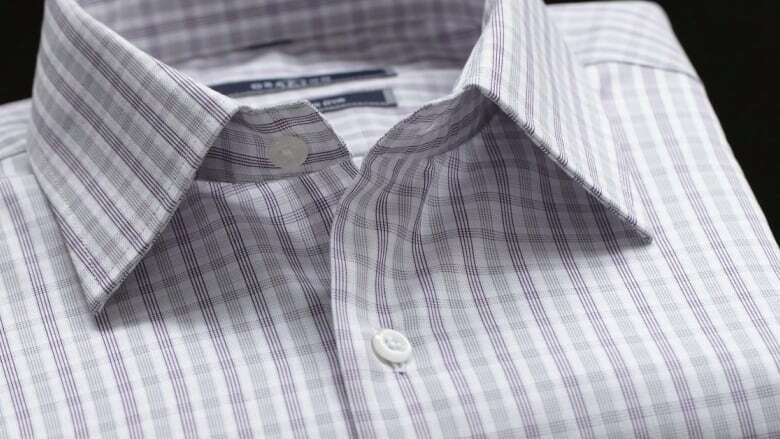 The owner of Tip Top Tailors, George Richards Big and Tall, Kingsport and other brands is asking for protection from its creditors as it restructures while facing tens of millions of dollars in debt. Grafton Fraser Inc. sought and was granted court protection under the Companies Creditors Arrangement Act this week, citing "lower than expected retail sales, increased overhead costs, delays in receipt of seasonal inventory and turnover of key personnel," in a court filing as reasons for its latest financial difficulties. The company operates 158 stores across Canada and employs 1,226 people. Filings suggest the company owes more than $60 million, and part of its restructuring plan includes the "proposed closure of underperforming locations." It's the second time within a year that Grafton has sought court protection for one of its brands, as it was unable to make a go of the Jones New York line after acquiring it from its U.S. owners. All 37 Canadian stores have since closed. The retailer's woes are just one of a slew of recent failures in the tough sector, including Mexx, Smart Set, Nine West, Danier, Laura, Jacob, and many others. "Their case is really symbolic of the struggles that most mid-tier fashion retailers have been experiencing," said Doug Stephens, the founder of RetailProphet, in an interview with CBC News. Online shopping is eating into clothing stores' business, because they are increasingly beating most retailers in the middle both on price and convenience. Bricks and mortar stores like Tip Top are "not appealing to consumers at either end of the value spectrum," Stephens said. Two of the chain's largest creditors are CIBC and the New York-based firm GSO Capital Partners LP. Grafton owes $12.8 million to CIBC and $39.4 million to GSO. Grafton also owes more than $8 million to various other unsecured creditors, filings show. The company said it will need up to $5.5 million to continue its operations until March while it restructures. All sides will be back in court on Monday to sort out the next phase of the process. In a separate filing, Grafton reveals it has a so-called "stalking horse bid" from a GSO-related subsidiary that would see that numbered company buy all or part of Grafton's assets. But that offer depends on whether other interested parties step up with an offer for any part of the business. Stephens said he doubts the chain will muster much interest from other retailers looking to buy in. "I certainly don't see someone coming along and pumping a lot of life into Tip Top," he said. "This is something that I would have thought would have happened a long time ago."